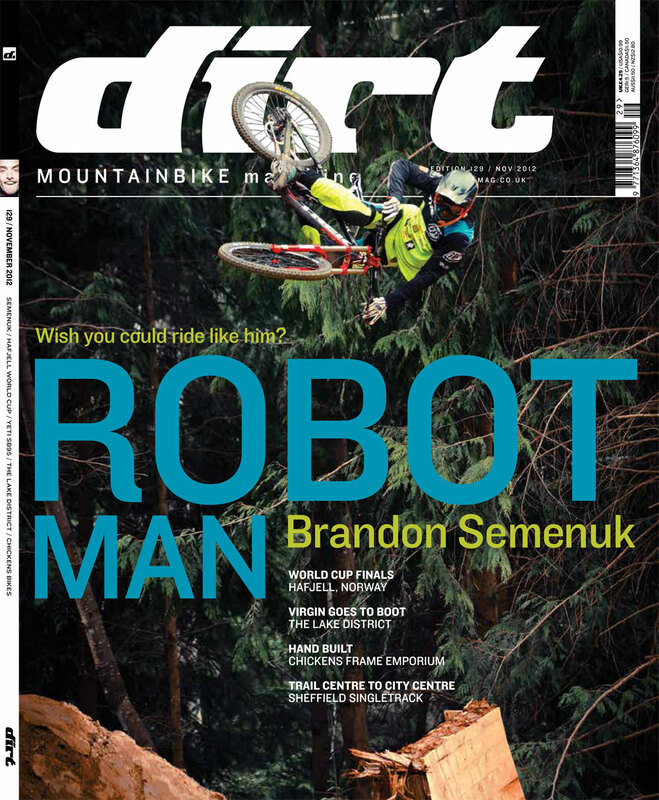 This summer I was tasked by Mike Rose of Dirt Magazine to interview Brandon Semenuk for a full feature. We didn’t want to just talk about the tricks and contest victories but rather the background to this rather quiet figure. Brandon’s upbringing was rather unique – living in Whistler, being an XC champion before turning all Freddy Freerider, leaving school at 14 years old to pursue his dream, buying his first house before most people had even moved out of their parents – and I wanted to show the human side to an athlete and talk about the kind of character traits that make Brandon, in my eyes, the most extreme freeriders out there. To do this I sat down with Brandon on two occasions (one before and one right after Crankworx), followed him like a sneaky shadow during the Crankworx Joyride finals, and spoke with some of his closest and longest running friends, people who saw something brilliant and remarkable in him at a very young age and have guided him in his life and career. Originally the story was going to start and finish at Joyride, but after a couple of disappointing runs and a few crashes, the whole story I had been working on collapsed. Before this I was going to approach the story using his consistency and precision as the focal points to his character, but it was plain to see that we needed to go deeper to really find out what charges his batteries. The cover tag line of Robot Man is a little over the top and might make people think the story is going in one direction but we went with this title because Brandon is far from being a robot, as the people I interviewed and my personal dealings with Brandon can attest to. Brandon might not run around being the party starter or bigger than life but he has a lot of very strong values and a staunch foundations to his character. Issue #129 of Dirt Magazine goes on sale on October 26th. Click here to track down a copy. Photos by Sterling Lorence. 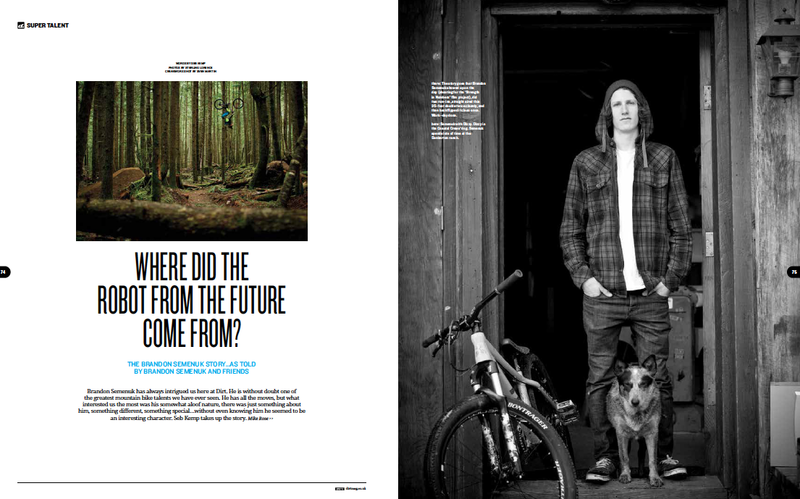 October 23, 2012 in BRITISH COLUMBIA, DIRT MAGAZINE.